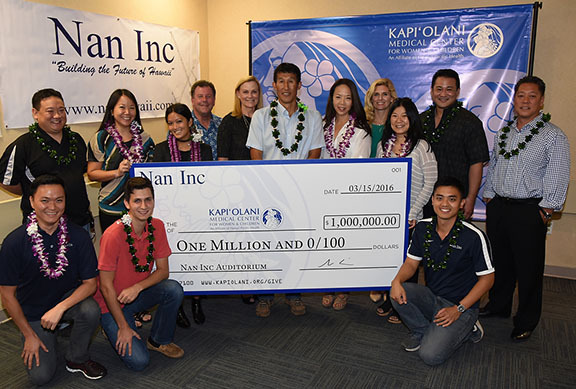 Hawai'I's Largest Locally Owned Construction Company Presents $1 Million Gift To Kapi'Olani Medical Center For Women and Children | | Nan, Inc.
HONOLULU (Mar. 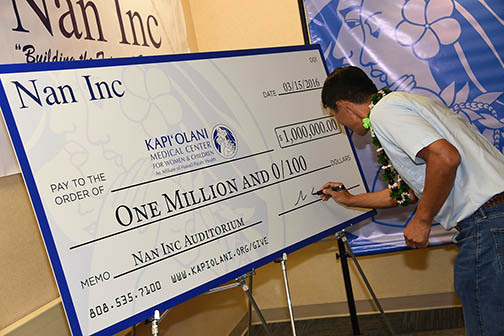 18, 2016) Nan, Inc. has presented $1 million to Kapi‘olani Medical Center for Women & Children in support of the hospital’s expansion plans. In recognition of the company’s generosity, the auditorium in the new Neonatal Intensive Care Unit (NICU) and Pediatric Intensive Care Unit (PICU) Building will be named the Nan, Inc. Auditorium. 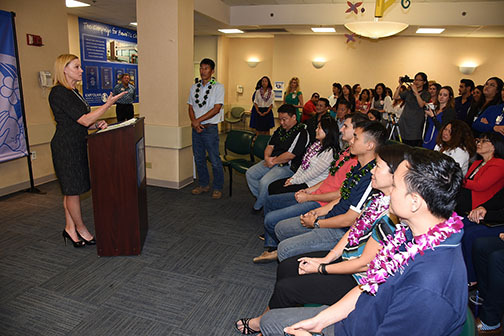 “Kapi‘olani Medical Center for Women & Children holds special meaning to our family as all of our daughters were born here,” said Nan, Inc. founder Nan Chul Shin. “We are honored to give back to the hospital that cared for our children as well as many of our employees’ children. 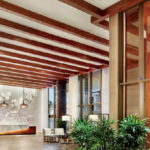 We are also dedicated in supporting Kapi‘olani’s educational programs, and this new auditorium will facilitate the perfect environment for educating Hawai‘i’s future physicians and other health care providers, who will then carry on to care for our children’s children. The Nan, Inc. Auditorium will be a state-of-the-art meeting and education space and a centerpiece of the new building’s conference center. 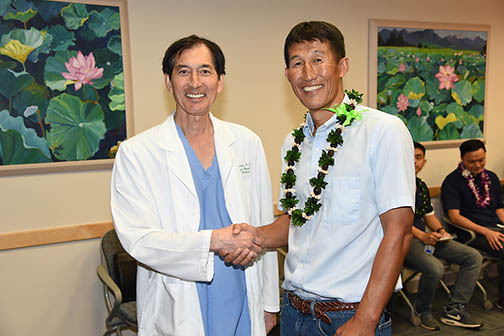 The auditorium and education rooms will support Kapi‘olani’s commitment to medical education and research by providing additional space for meetings, training programs and classes. 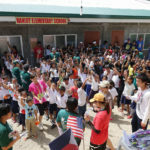 It will also support patient care services and programs, such as the Child Life Program, which coordinates activities like movie nights to help create a fun and supportive environment for patients and their families. The 1,600-square-foot auditorium will feature a 7-by-12-foot video wall display.